Discussion in 'Dog of the Month' started by Vicki, Jan 6, 2016. Each winner of the Dog of the Month photo contest will be featured on the mastiff-forum.com homepage with a bio and pic of the winning dog! Your picture may also be used in the picture rotation in the upper corner of the forum! Each member is only allowed to enter one picture per month, if you submit additional pictures, they will be promptly removed. The dog pictured must be owned by you, if the dog is deceased, it must have died under your ownership. Dogs must be one year old or older. All pictures submitted can be posted from a web based photo hosting site such as photobucket.com, FLICKR, or Tapatalk. No attachments. You are not allowed to enter a dog in the monthly contests until you have made at least 50 posts and have been registered for 30 days or more. If your dog wins a monthly contest the same picture can not be used again. The same dog can be entered in later contests, but it must be a different picture. Otherwise you may submit the same picture of a given dog each month until it wins. If you post a picture that violates these rules, it will be subject to immediate removal and will require re submission, conforming to these rules, to be included in the contest. 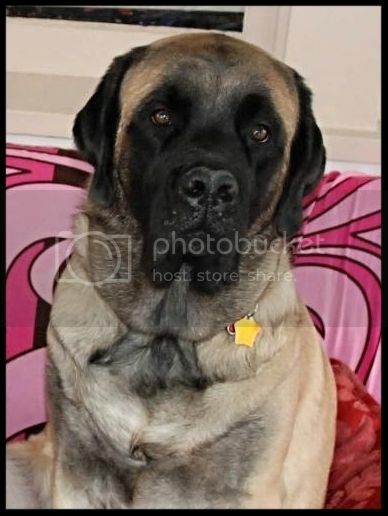 This will be a monthly contest held for the best picture of a dog owned by a member of mastiff-forum.com. Submissions will be of a female dog of any breed, at least one year old, and posed in any way. They CAN NOT be wearing any costumes, hats, etc. with the exception of any type of service/working vests, and any type of harness. Besides those exceptions the dog can only be wearing a collar as to not conflict with our â€œthemedâ€ photo contest. The contest will be judged on the quality/creativity of the picture, and the overall health state and look of the dog. Every picture that is submitted and falls within the above rules will be eligible to be voted on as a winner. You will have 1week to submit your pictures. A poll will be set up for the 3rd week along with the top 10 pictures and voting will continue through the end of the month. If, in a contest, there is a tie between two or more dogs, there will be a 24 hour tie-breaker voted on by members. If there is still a tie, there will be an additional 24 hour tie-breaker voted on by staff members, and if a decision still can not be made, the first available administrator will decide the winner. Please make sure you are using the link from your photo account that begins and ends with . Members should refrain from posting replies such as â€œnice dog,â€ â€œI love/vote for this one,â€ or â€œgreat picâ€ in this thread. These types of replies will be removed.These will be threads for picture submissions only! 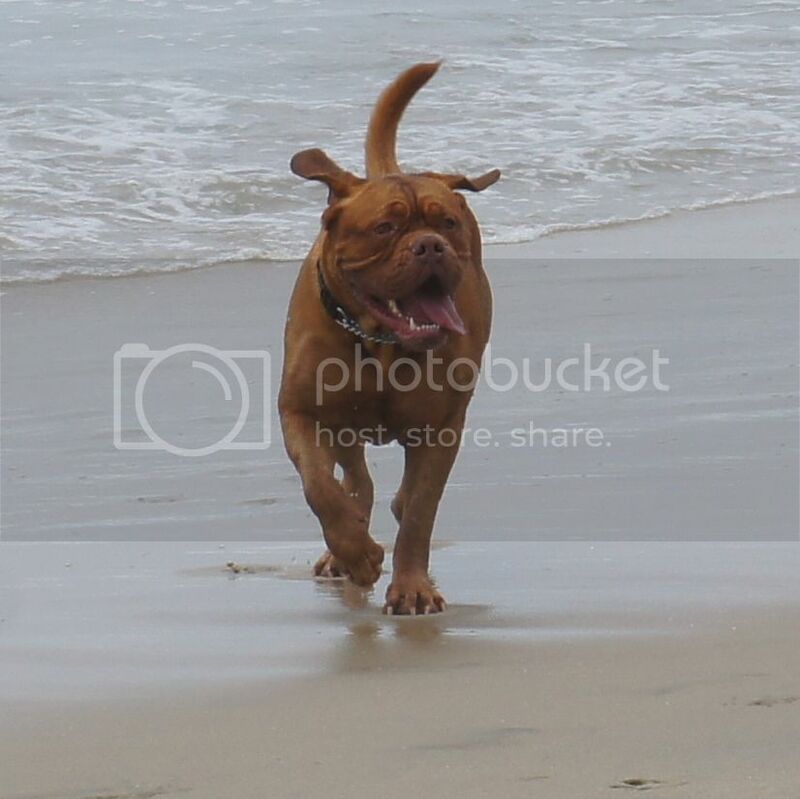 Each winner of the Dog of the Month photo contest will be featured on the mastiff-forum.com homepage with a bio and pic of the winning dog and a ONE year Premium Membership. No girls entered? Okay then. Dogue Lovers - Miss Lucille @ 4 yrs old.